Green building and design are both becoming increasingly important to nearly every home and business today. Between the energy savings, the healthier environment to live and work in, and the environmental impact, there’s a lot of positive benefits to going green. Many commercial offices have already begun making the switch to more eco-friendly materials; now those with home offices are also beginning to get in on the trend. These eco-friendly and green materials for your home office interiors are perfect for creating the ultimate in-home workspace. You spend a lot of time in your home office each day, and even more time inside your home itself. So it makes sense that you’ll want to create a space that makes you feel completely comfortable, as well as a space that you can be productive in. When you choose eco-friendly materials for your office interiors, you’re also choosing materials that are better for you and for your family. Eco-friendly materials are less likely to give off harmful levels of VOCs and other chemicals that can contaminate the air you breathe. At the same time, eco-friendly materials are often more sustainable, allowing your home to be more comfortable, while saving you money on your energy bills each month. Together, this helps you create a space where you’ll want to go to work each day. 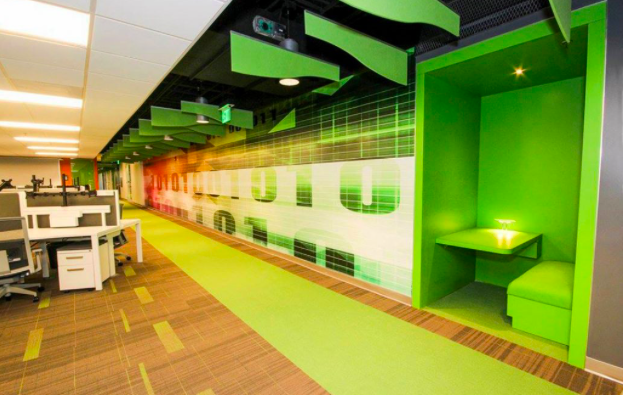 Color is crucial to your mood and your productivity levels, so it stands to reason that your new office design will likely include a fresh coat of paint. There’s nothing worse, however, than being shut up in a room all day that smells of new paint. Especially if you like to close your office door to help create a sense of privacy, separating the room from the rest of the home. 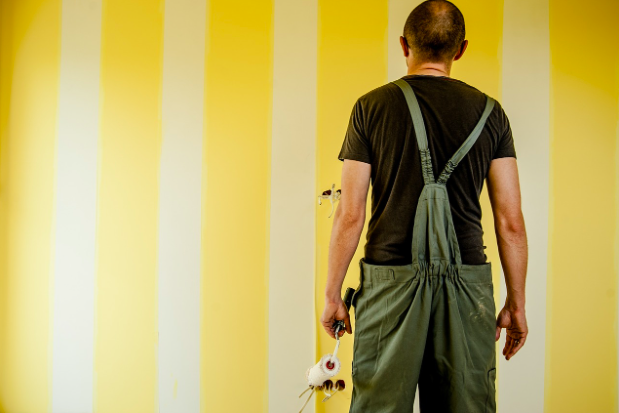 Choosing paints that have no or low VOCs will help ensure that your office air stays cleaner, making it easier to breathe and benefiting the environment as well. 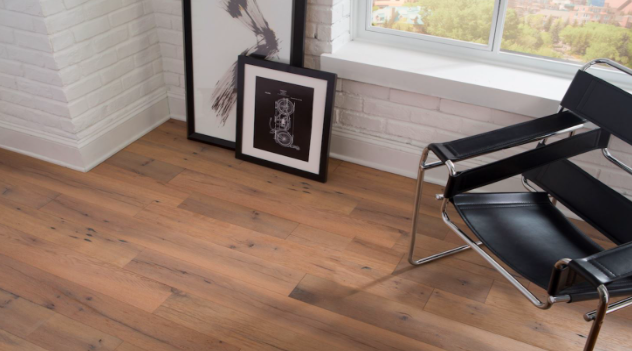 Flooring is another important piece of any interior design – including your home office’s. A good floor will set the stage for the rest of your design, and should be fairly easy to clean and maintain no matter what type of work you do there. Your furnishings are a huge part of your home office, allowing you to get your work done each day. 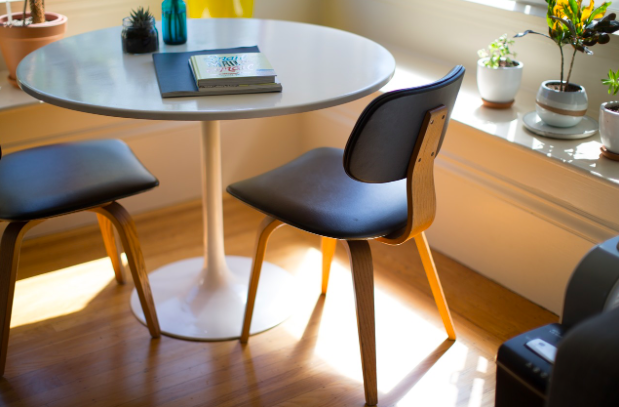 When you’re considering your options for desks, chairs, shelving, and carts, keep sustainability and eco-friendly materials in mind. Plywood made with no urea formaldehyde is better for both you and the environment, allowing you to construct office shelving and custom designs that benefit you in two ways. Or, consider furnishings made from bamboo lumber instead of more traditional woods. Light is one of the most important parts of any interior design, and the same holds true for the home office. The ideal room will have three distinct types of light. The first is ambient, the light which illuminates the room as a whole. The second is task lighting, and refers to the lights which are specific to the work you are doing, such as desk lamps or under cabinet lighting. The third type of lighting helps set the mood and tone of the room, and can help you feel more comfortable and productive there. 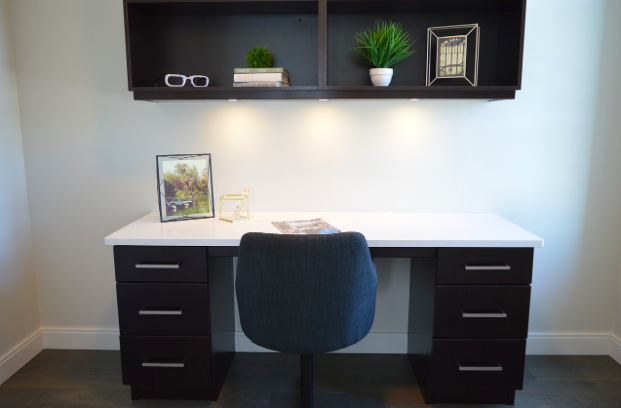 With the number of hours that you’ll spend in your home office, it’s important to consider light sources that don’t use as much energy as traditional incandescent lights. 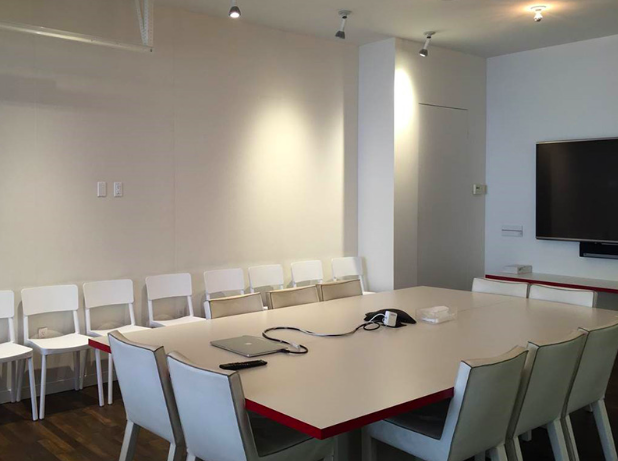 Recessed LED lights can help illuminate your office for a fraction of the cost while providing you with plenty of ambient lighting, while LED desk lamps can give you specific task illumination. You may also want to consider adding things like salt lamps to your desk area to help clean the air, while providing additional illumination and mood stimulation as well. One thing that many commercial office spaces have adopted is the use of plants and other greenery in the office space. Plants help clean the air you breathe, while also creating a more pleasant looking interior space at the same time. Consider adding plants to your home office to complete the design and purify the air at the once. Homes that use eco-friendly and sustainable materials are more likely to recoup their costs at times of resale than similar designs using conventional materials. Consider this benefit along with others such as lower energy bills and cleaner air when designing your home office, and opt for eco-friendly materials to get the job done. Guest Blog Post by Zach Williams, communications coordinator at Kireiusa.com. 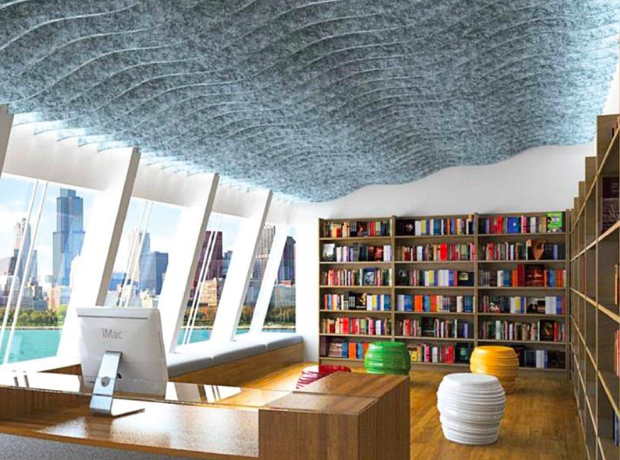 Since 2003, Kirei (“kee-ray”) has been providing interior designers and architects with innovative materials that are visually interesting, functional and environmentally friendly.